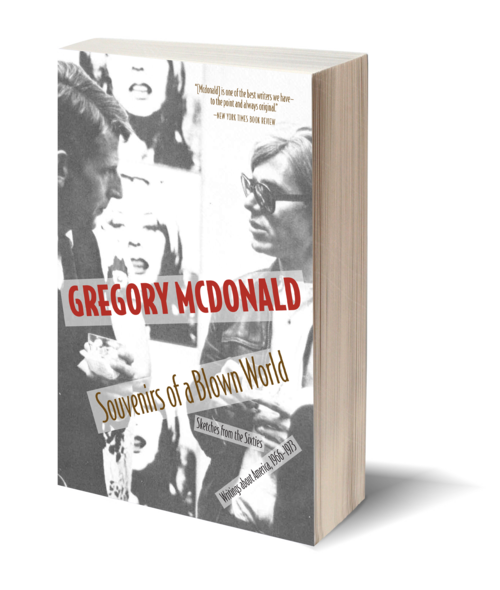 Bestselling author of the Fletch series, Gregory Mcdonald presents firsthand accounts of major events during the sixties and interviews with Joan Baez, Abbie Hoffman, Krishnamurti, Phil Ochs, Andy Warhol, and others. The year was 1966, and fresh off the heels of his controversial debut novel Running Scared, Mcdonald was hired to write for the Boston Globe with the instruction to "Go and have fun and write about it, and if you end up cut and bleeding on the sidewalk, call the office." Souvenirs of a Blown World is an exuberant account of the people, the encounters, and emotions that raced through the nation during those indelible years. You will follow a war-battered young soldier through the steamy quagmire of Vietnam, attend a barbeque bash in Dallas for the opening of John Wayne's two hundred and first picture, watch Jack Kerouac booze himself into hallucinatory eloquence, and run through the streets of Chicago during the 1968 Democratic National Convention. Captured in kaleidoscopic prose, this is the vanished world of America's revolt, the explosive second adolescence that shook old institutions to their foundations … the time we must relive and understand if we are to understand and live through our own. 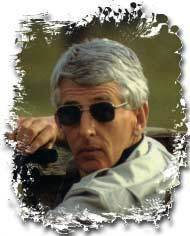 Twice winner of the Edgar Allen Poe Award, Gregory Mcdonald (1937–2008) has been described as the inventor of the sunlight mystery and “the Master of the Pointed Story.” Mcdonald published twenty-six books over the course of his life, including the widely acclaimed Fletch novels. From 1966 to 1973 he worked for the Boston Globe, where he was the first member of the major media to write against the Vietnam War.